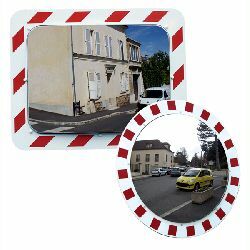 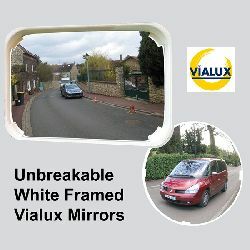 Vialux® traffic and road safety mirrors are ideal for use at road junctions and intersections with limited visibility or blind spots, concealed entrances, private parking or driveway exits, cycle lanes, tram/train/bus stations, and underground car parks among other applications. 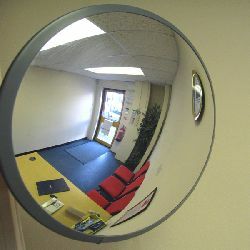 With a comprehensive range of mirror size, frame colours and styles and materials to choose from, there`s bound to be one that`s just right for your application and when you buy from Insight Security you know that you are covered by our No Quibble Guarantee, so you can buy with confidence. 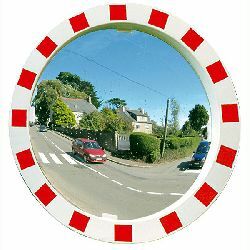 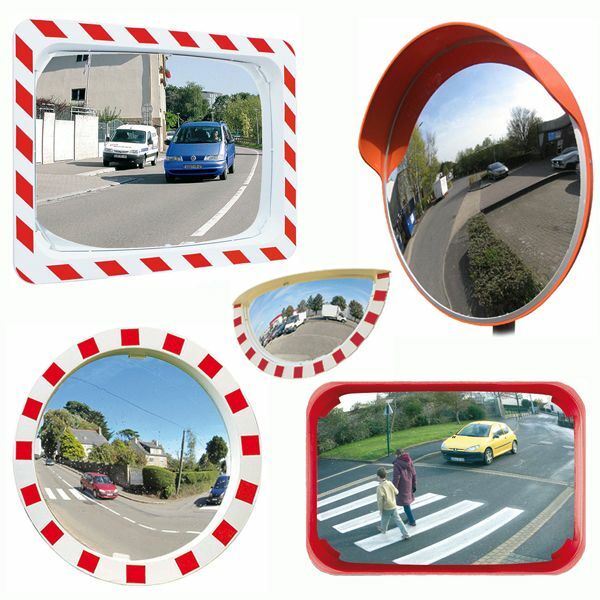 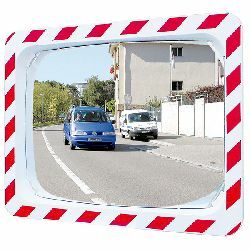 Our high quality, unbreakable traffic safety mirrors, with robust hi-visibility red and white frames, are available in round, half round and rectangular mirror formats, however there are alternative frame colours available and of course you have a choice of Stainless Steel or unbreakable Polymir (Plastic) mirror lens. 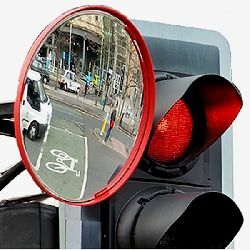 Also included in our Road Traffic Safety Mirror range are our special Vialux Anti-Frost / Anti-Condensation mirrors that utilise clever latent heat technology (no electrical connection required), to keep the mirror face clear of frost or condensation. 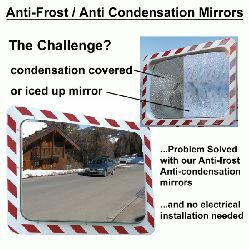 As these smart mirrors avoid the mirror face becoming obscured by frost or condensation, which would render the mirror temporarily useless, our Frost Free mirrors are always ready for action. 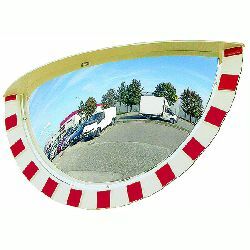 Users range from County Councils, City & Town local authorities and schools, to commercial site managers and lots more, - which is why you`ll see these mirrors in use at major roadwork projects as well as at busy site entrances, goods yards, traffic junctions, etc. 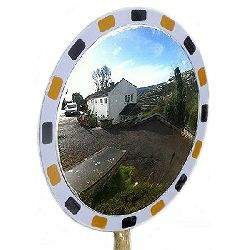 All mirrors are supplied with fixings and a robust, galvanised steel, universal mounting bracket - suitable for mounting the mirror to a post or wall (tested to wind speeds of up to 183 km/h).